The town of Shoreham has a lovely center with a village green, elementary school, church, library, town offices and the Shoreham Inn & Pub - all within walking distance of Main Street! Shoreham is primarily an agricultural community of orchards, dairy and niche farms mixed in with home-based businesses. 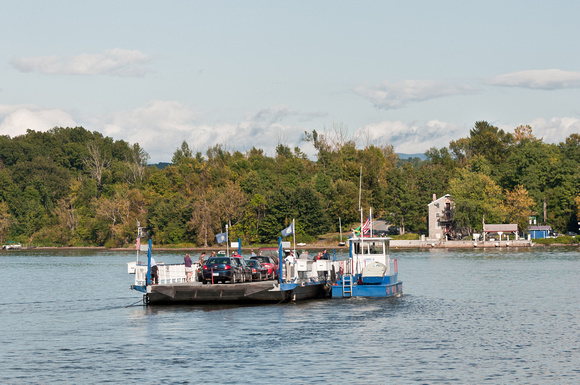 Shoreham is also home to the “Fort Ti” Ferry, one of oldest ferries in the US, in continuous operation between Shoreham and Ticonderoga, N.Y., since 1788. Shoreham is a real gem! Search all listings for sale in Shoreham, VT below. If you have any questions or would like more information on a property - contact us. You can also sign up for a free account to save your top listings and get updates when similar listings come on the market. Click here to view a drone video of the property. Restored C. 1798 farmhouse known as the "Elijah Wright House" will have old home enthusiasts falling in love! After being partially destroyed by fire in the late '90's this beautiful home was put back together by a local contractor and offers incredibly versatile space. Lovely pine floors throughout the house, a fireplace in each of the following rooms: living room, den (which could serve as a first floor bedroom suite), dining room and master bedroom suite. Gracious kitchen with a converted woodstove (gas cooktop, electric oven) includes a dining area, center island with a soapstone top and built-in cupboards. The kitchen graciously opens to the porch where the sun floods in every morning! Once a merino sheep farm in the early 1800's, the barns on the property are truly spectacular structures that have stood the test of time. The center barn structure includes a workshop, former stanchions, four horse stalls, hay storage and a post & beam barn. A separate post and beam barn houses a chicken coop and more room for animals or storage. The corn crib was rebuilt after a storm but maintains it's characteristic lines and functions well as a storage space for garden tools - or perhaps it could be converted for another use! McKernon Group, in Brandon Vermont, restored the corn crib, rebuilt the front door and the south side of the house replacing some windows along the way. This is a remarkable property just 14 miles to Middlebury and less than an hour to Burlington.